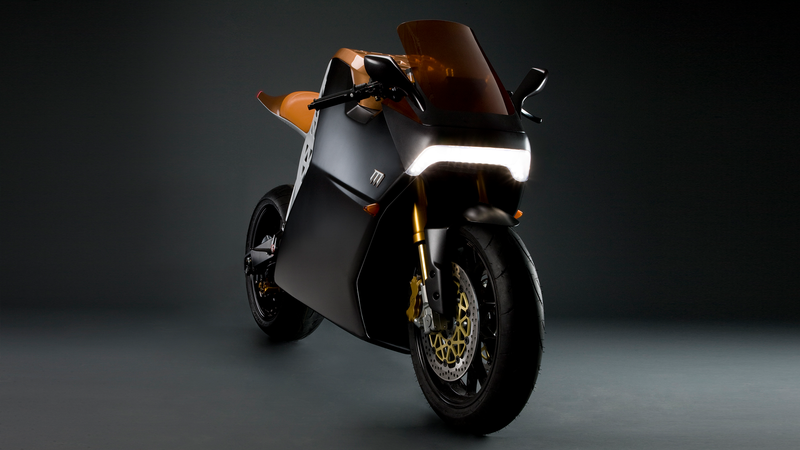 In February of 2009, a breathtaking next-level electric sportbike was unveiled by Mission Motors of San Francisco – the “Mission One.” It looked like the future of motorcycling, and still does! The shape of the “Mission One” was developed by Fuseproject, the studio of international industrial design celeb Yves Béhar. Rumors of their working concept swirled for over a year – an electric motorcycle that would out-perform a gas bike – via discussions with Fuseproject CEO Mitchell Pergola. It was clear something very special was being built, as nothing ordinary comes from the mind of Yves Béhar; his work is exhibited in museums, but he’d never designed a motorcycle. Béhar’s affinity for genre-pushing shapes presented a challenge to contemporary motorcycle styling, and the Mission One as revealed was both traditional, with a fairly standard rolling chassis, and avant-garde in its motive power and bodywork. Mission Motors began as Hum Cycles, a project that included ex-Tesla employees, who developed the “Mission One” engine and battery technology and most importantly, the throttle response algorithm used to control the engine’s power. The Mission electric motor was a liquid-cooled, 3-phase unit developing 100ft-lbs of torque at 0rpm, meaning 100% of the engine’s torque was available from a standstill. Moderating that energy delivery is among the trickiest parts of e-bike design, taming an instant-power beast into a civilized machine. The “Mission One” team claimed a top speed of 150mph and a range of 150 miles. The speed was proven at the Bonneville Salt Flats in September 2009, where the “Mission One” averaged 150.059mph, taking the AMA electric motorcycle land speed record. “Mission One” was featured in Wired.